Fri., 27 Sep. - Sun., 20 Oct. Sun., 17 Nov. - Wed., 11 Dec. Sun., 29 Sep. - Sun., 20 Oct. 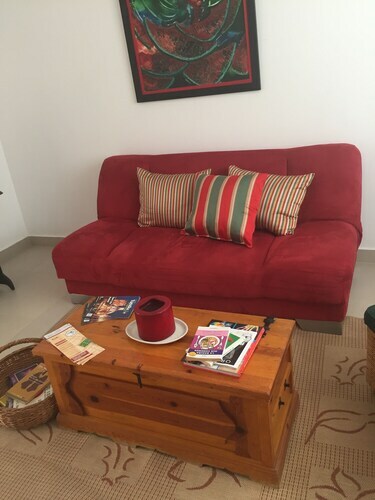 Mon., 6 May - Mon., 16 Sep.
See all 65 properties in Ponciano Arriaga Intl. 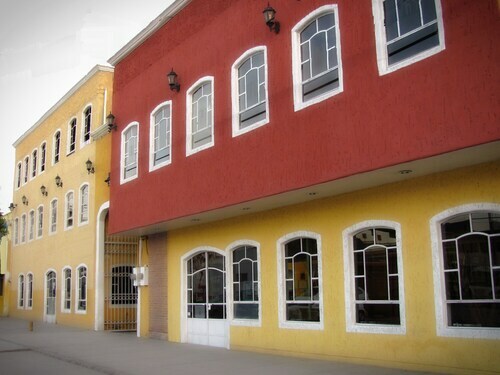 Situated in San Luis Potosi, this hotel is within 2 mi (3 km) of Jesus Garcia Corona Railway Museum, Museum of Contemporary Art, and Federico Silva Museum. Alameda and Temple of Carmen are also within 2 mi (3 km). 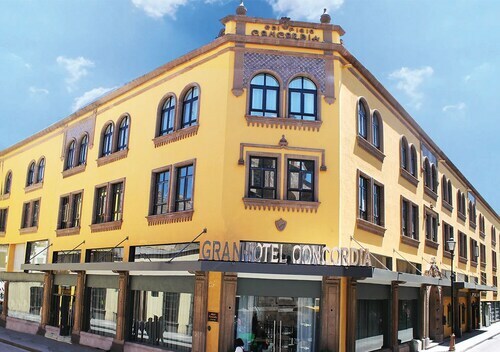 Located in the heart of San Luis Potosi, this hotel is within a 15-minute walk of Church of the Compania, Plaza de los Fundadores, and Plaza de Aranzazu. Government Palace and Potosi Regional Museum are also within 15 minutes. 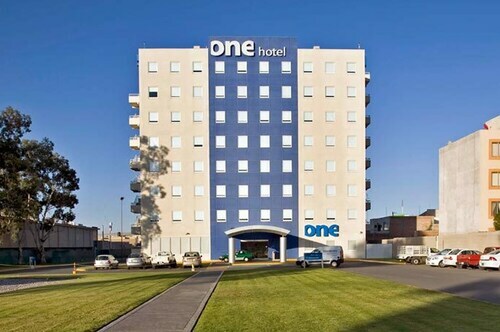 Located in Centro Historico, this hotel is steps from Plaza de los Fundadores and Church of the Compania. Government Palace and Plaza de Armas are also within 5 minutes. Located in the heart of San Luis Potosi, this hotel is within 1 mi (2 km) of Alameda and Jesus Garcia Corona Railway Museum. Teatro de la Paz and National Mask Museum are also within 2 mi (3 km). 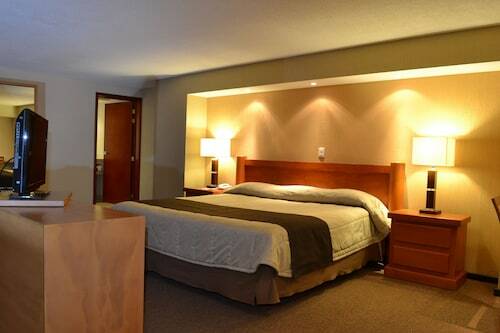 Located in Centro Historico, this hotel is steps from Othoniano Museum, Plaza del Carmen, and San Luis Potosi Cathedral. Temple of Carmen and National Mask Museum are also within 5 minutes. Situated in San Luis Potosi, this guesthouse is within 2 mi (3 km) of Church of the Compania, Plaza de los Fundadores, and Museum of Contemporary Art. Government Palace and Plaza de Aranzazu are also within 2 mi (3 km). Situated near the airport, this eco-friendly hotel is within 2 mi (3 km) of Alameda, Jesus Garcia Corona Railway Museum, and Teatro de la Paz. National Mask Museum and Museum of the Viceroyalty are also within 2 mi (3 km). Situated in San Luis Potosi, this hotel is within 2 mi (3 km) of Alameda, Plaza Sendero Shopping Center, and Jesus Garcia Corona Railway Museum. Centenario Center of Arts and Teatro de la Paz are also within 3 mi (5 km).